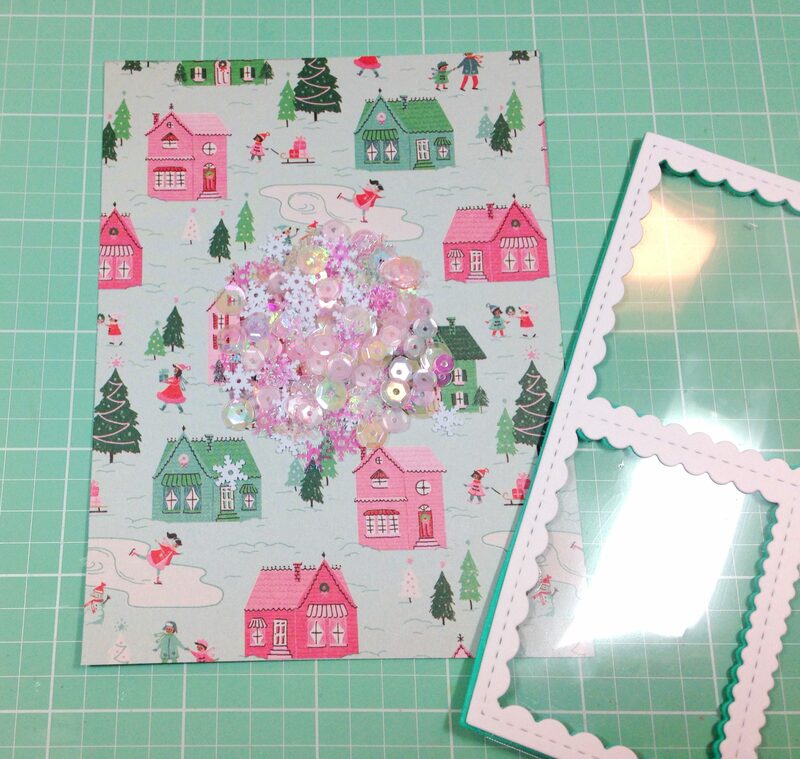 Normally, I like to do a few “Christmas in July” cards, but the new Stitched, Scalloped Collage Frame die from Kat Scrappiness had me changing things up a bit. When I first saw this background die, it made me think of a cute little window that would be in a gingerbread house, so why not Christmas in August? 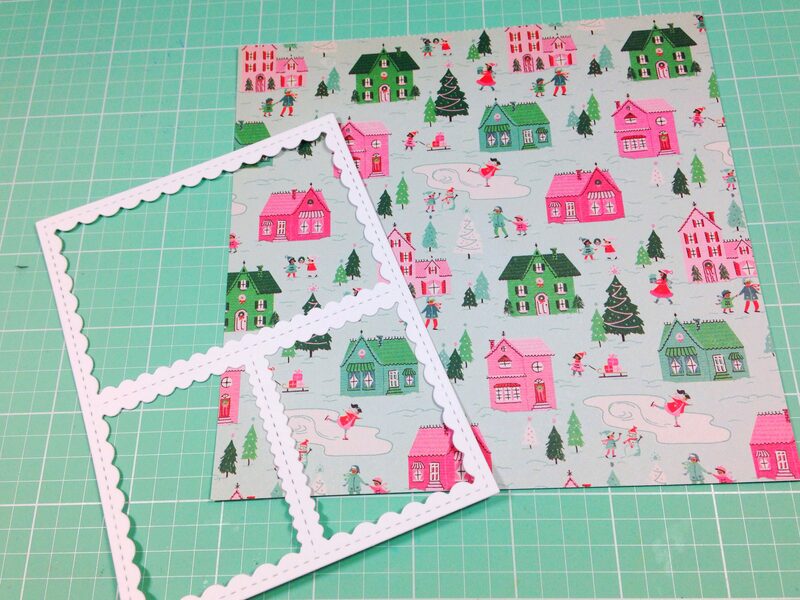 I chose some cute Christmas paper from Crate Paper I had left over from last year. I like that it had a little village scene on it. Perfect for “looking out the window”. 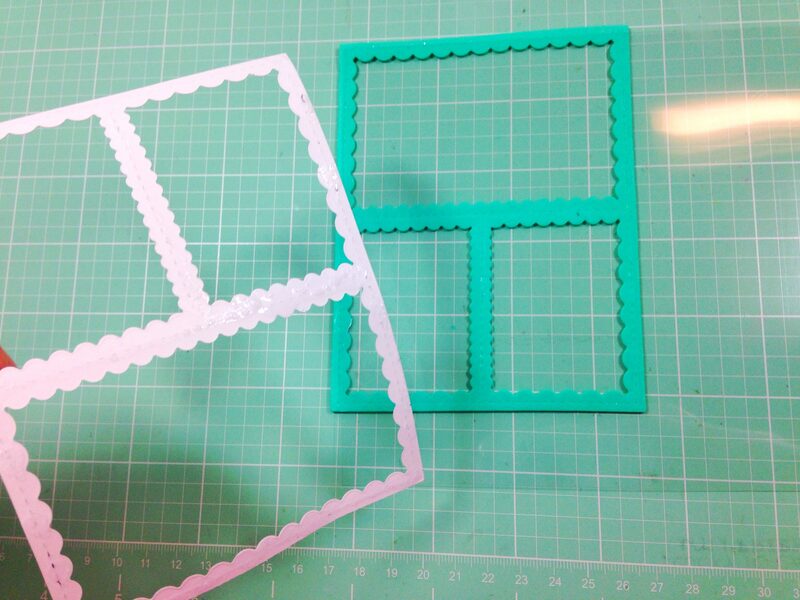 I created a shaker by first cutting some fun foam with the die, then another piece with some white card stock. I added acetate to the top of the foam piece with liquid adhesive and then glued the white piece on top. 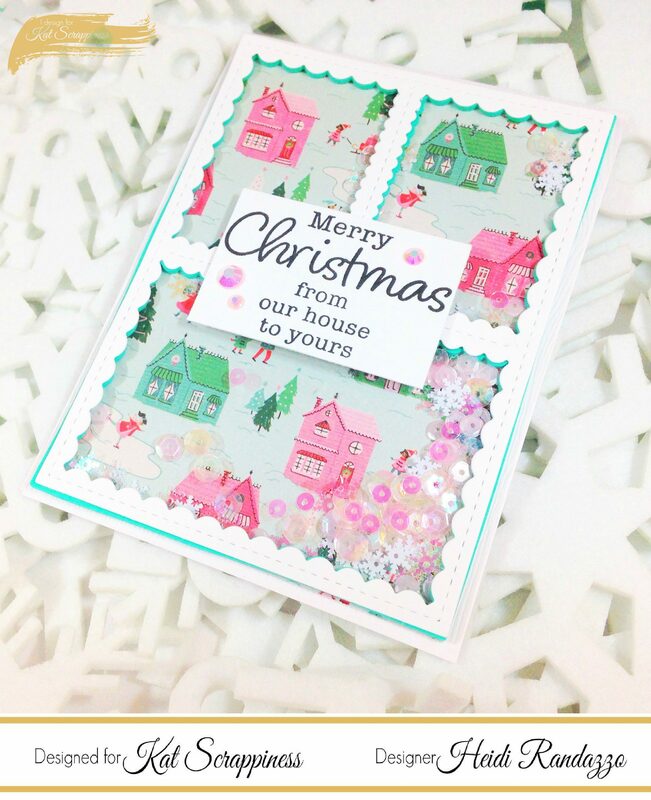 After cutting down my patterned paper to fit behind the scalloped die, I added some Snowflake Kisses II sequin filler on top. 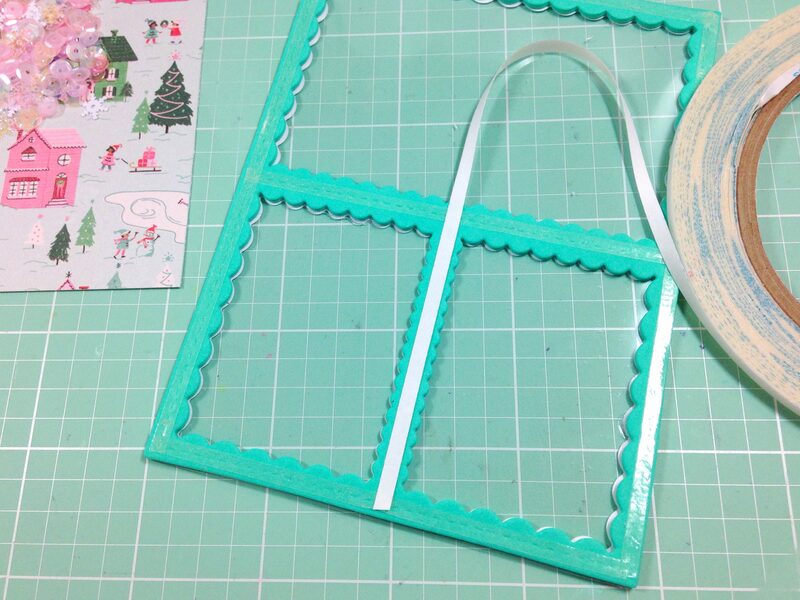 I added some Scor-Tape to the back of my shaker window and adhered it over the top of the patterned paper. 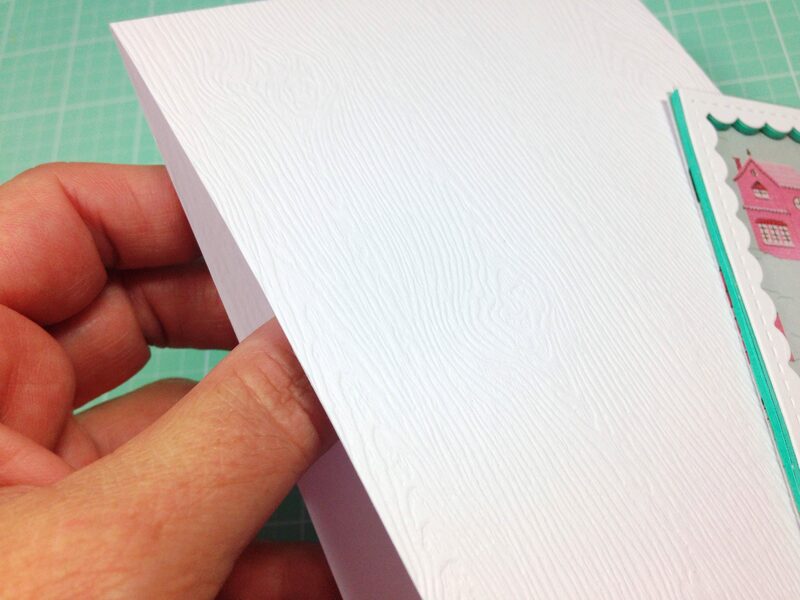 I glued the entire piece to a note card I created using some wood grain style cardstock. 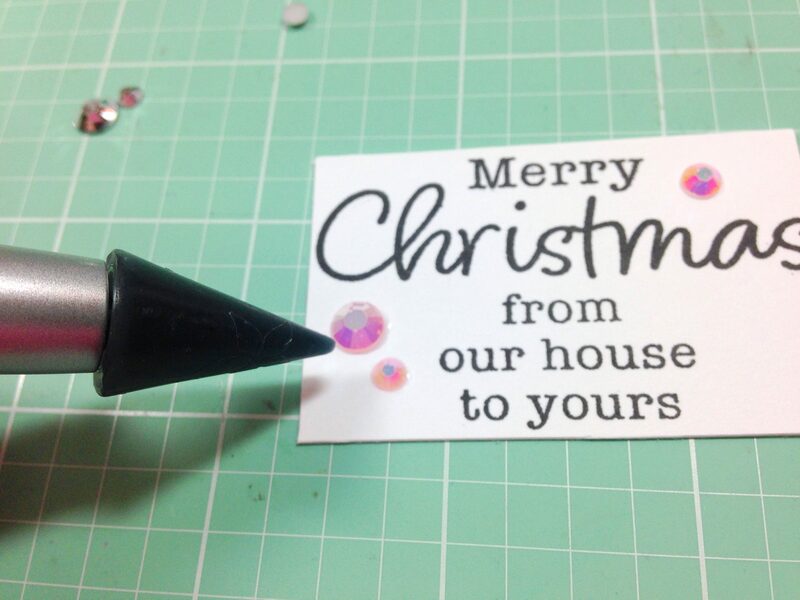 For the sentiment, I used Technique Tuesday’s Classic Christmas Stamp set and added a few Pretty Pink Jewels. Thanks for joining me today. 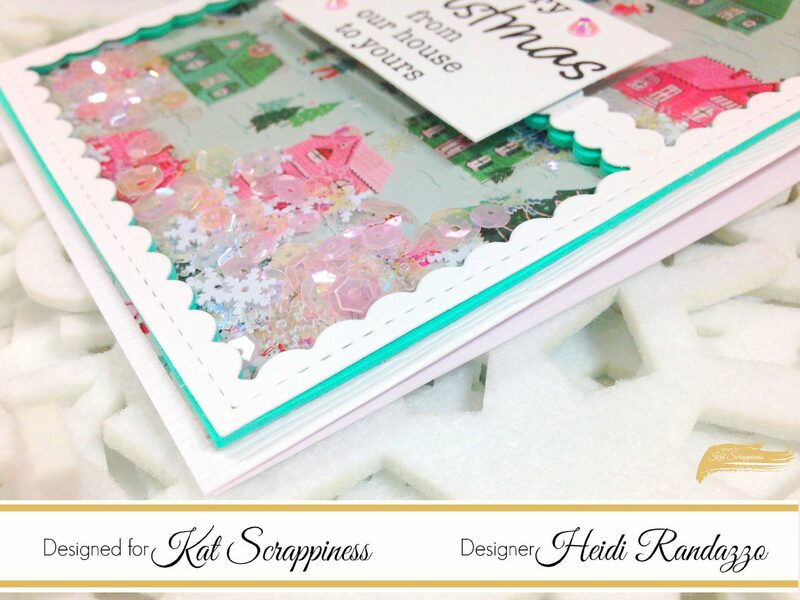 Be sure to head over to the Kat Scrappiness shop to see all the new releases for this month. Feel free to use my coupon code: Heidi10 to receive 10% off your purchase. Have a great day!